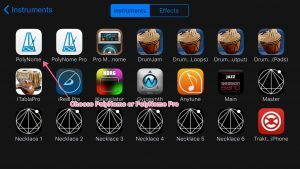 PolyNome supports Inter-App Audio. 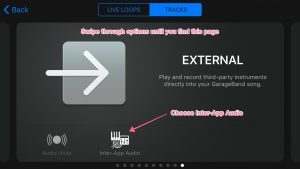 This means you can use it as a source for Garage Band or other apps that support Inter-App Audio. Make sure PolyNome is running. Once you’ve completed these steps PolyNome will be the input source for your Garage Band project. 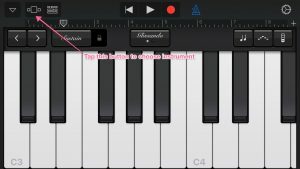 You can record and save the audio file, or do whatever you like with it. If you use Audiob.us you can select PolyNome as one of multiple inputs. You could, for example, record PolyNome and the iPhone headset mic together.